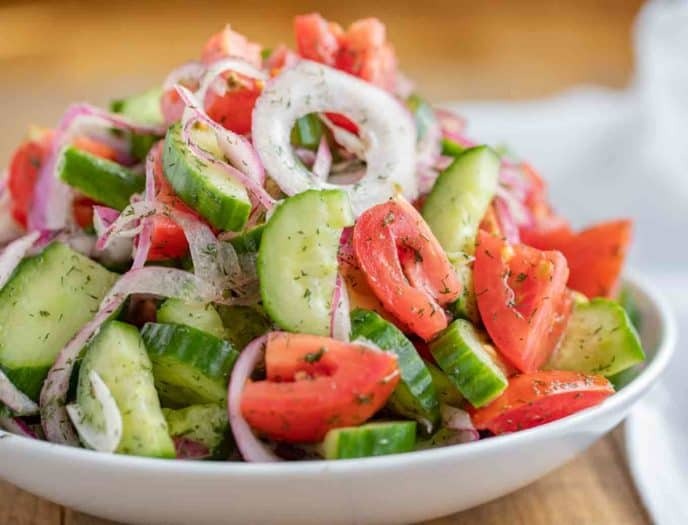 Cucumber Tomato Salad with a quick and easy dill vinaigrette in just 10 minutes is the perfect side salad full of fresh summer vegetables. With grilling season coming we love easy side dishes like Coleslaw, Easy Macaroni Salad and Texas Caviar for side dishes to our favorite grilled meats (I’m looking at you Easy Carne Asada!). 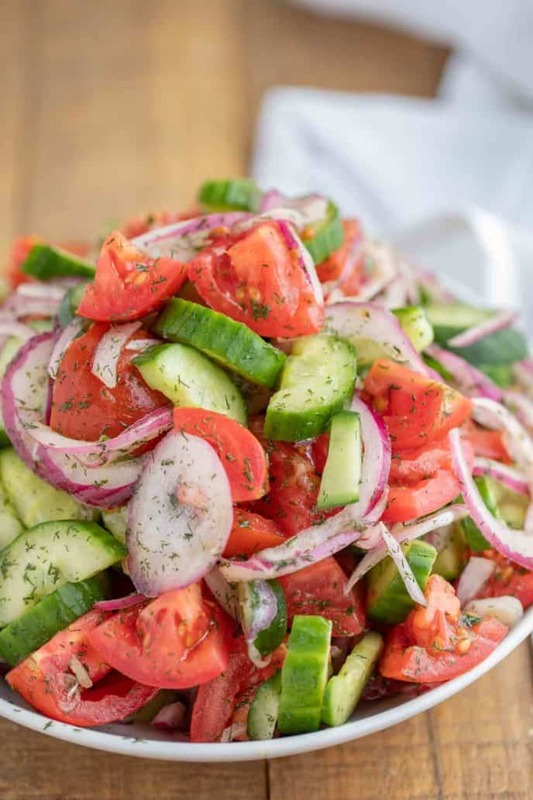 Cucumber Tomato Salad is a refreshing summer salad recipe (that is naturally gluten-free and high in vitamin c) you can enjoy while tomatoes are ripe and in season (and also much less expensive than normal!). With the weather warming up tomatoes are becoming sweeter and sweeter and we’re finding tomatoes are already getting ripe enough for this recipe. What’s great about this salad is you can make it ahead of time and it won’t wilt because it doesn’t contain any lettuce. The tomatoes, cucumbers and onions will soften just a bit as they sit but only to become more tender as you eat them. And if you have an aversion to raw red onion flavors you can soak your red onion slices in ice water for ten minutes before adding them to the salad to mute the raw onion flavor. The vinaigrette in this recipe is a classic red wine vinaigrette with a healthy handful of fresh chopped dill mixed in. A classic vinaigrette has a ratio of 3 parts oil to 1 part vinegar. 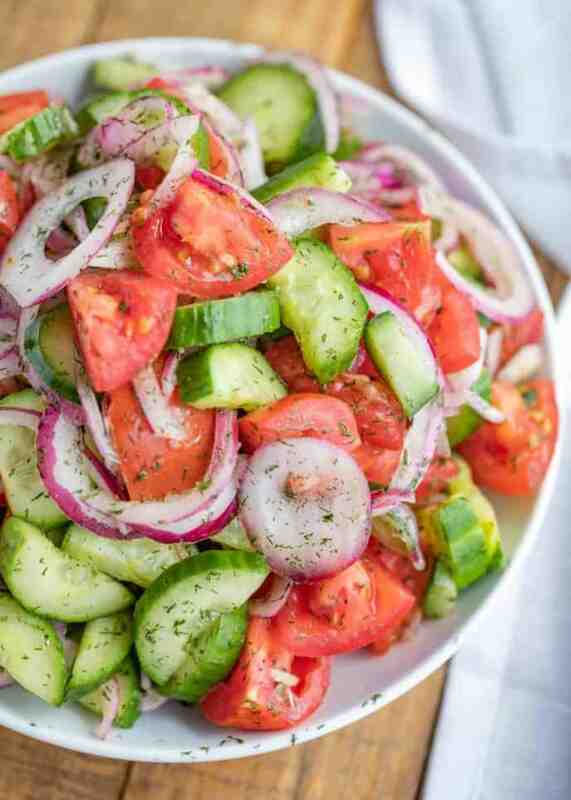 You can use your favorite salad oil for this and your favorite vinegar, but in this recipe and with dill as a flavor I chose to use red wine vinegar and extra-virgin olive oil. 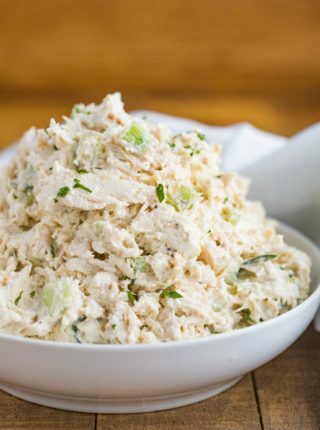 Since we are not using an emulsifier like mayonnaise or mustard you’re going to have to whisk the dressing right before tossing with the salad. I use vine tomatoes in this salad recipe but you can use cherry tomatoes, roma tomatoes, beefsteak tomatoes or any other ripe tomatoes. If you use cherry tomatoes make sure you slice them in half to allow the tomato juice and the dill vinaigrette to mix with the cut tomatoes. 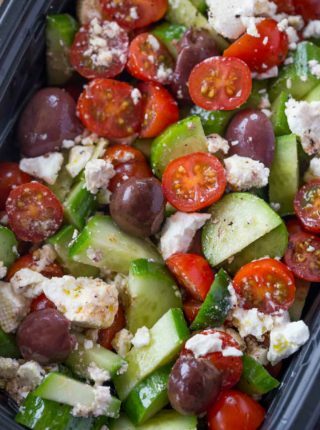 Cheese: Feta Cheese for a fun Greek twist, you can add this in fresh or baked (if baking, brush with extra-virgin olive oil and bake at 375 degrees for 20 minutes). Fresh Mozzarella for an Italian version, add some fresh basil too. If you add more ingredients to this tomato cucumber salad recipe be sure to increase the amount of dressing you make. You can also add lemon juice in place of or in addition to the red wine vinegar. You can swap out the red wine vinegar for apple cider vinegar too. Be careful when tossing the tomatoes with the dressing so you don’t lose the tomato juice from them. 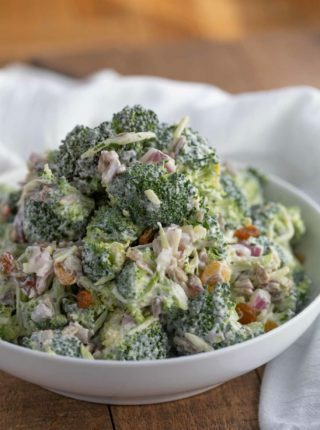 This is an easy salad you can make ahead of time and it can sit out at room temperature for up to 2 hours before serving. Do not refrigerate your tomatoes before serving, this makes tomatoes mealy. Add the vegetables to a large bowl, then whisk together the dill, olive oil, vinegar, salt and pepper and pour it over the vegetables tossing them carefully together. This recipe has all of my favorite flavors! Love the sound of it and can’t wait to give it a try! YUM! Love this fresh salad, I make it often at home as I grow tomatoes and cucumbers in my garden. Your photography is lovely, now I need a bite of this salad. So glad you enjoy it! Having your own garden is such a blessing to pick from. I’d love to know what you think after trying! 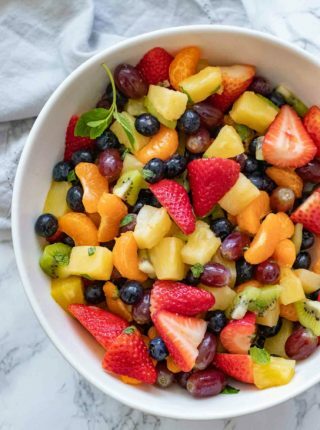 What a colorful, healthy and tasty dish! Makes a great lunch option; I’m going to try this tomorrow! Mmm tastes like summer in a bowl! Definitely making extra vinaigrette for later. We make something very similar, but with mint. It goes great with curry.